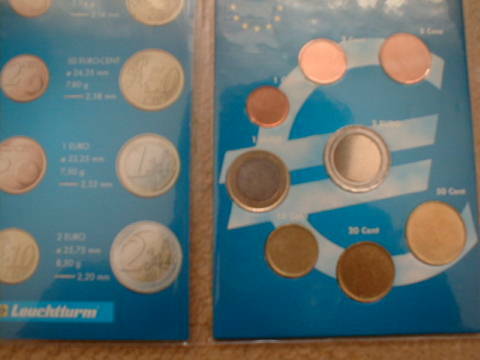 This coin is a 1 Euro planket, came from an automatic highway machines. It has an almost uncirculated aspect, in pictures scratches are more evident. 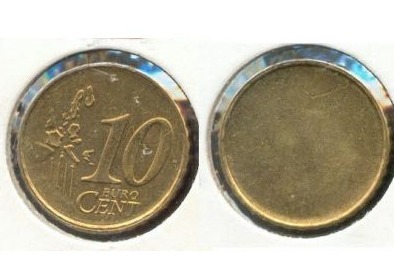 Weight of the coin is the same of 1 euro and height of border is a little more than 1 struck euro. The edge is plain. There is no evidence of struck on both edges. 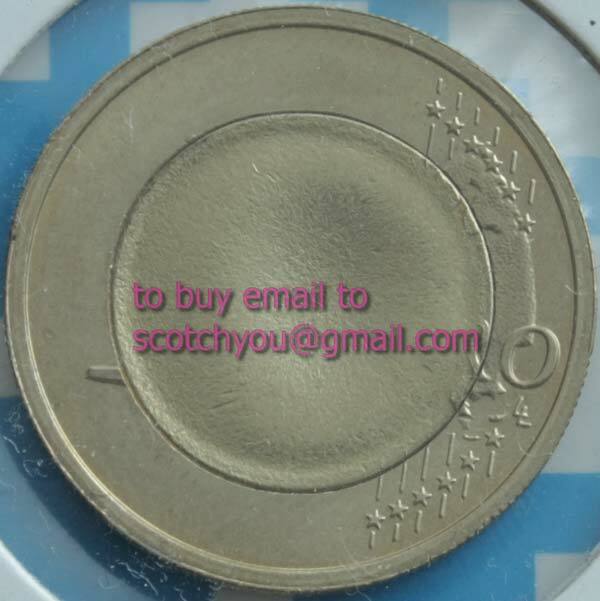 Ha a magnetic behaviour like a normal 1 euro coin. This nice error is a 10 cent struck only one side, the nice image is provided by Richard. 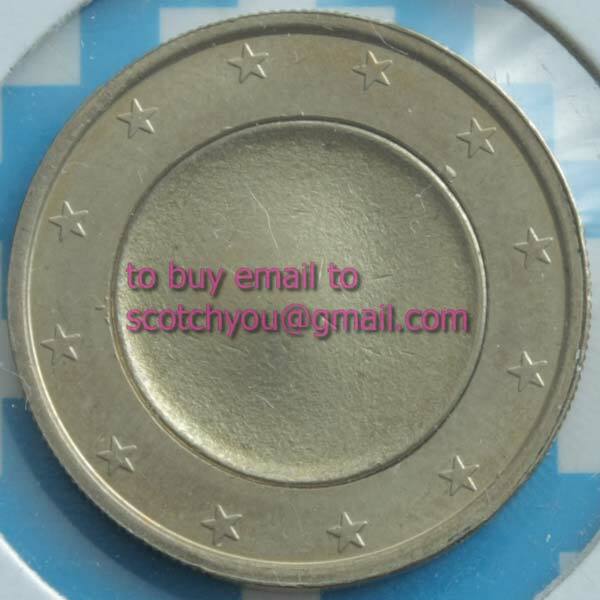 5 Euro Cent Mint web Scrap. 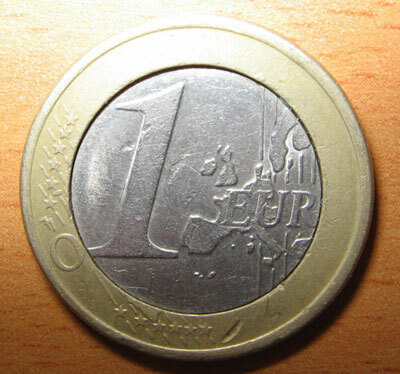 This is a piece where the 5 Euro Cent planchets are cut from. Thank yoy Sebastian R. for the interesting image. This Image was found on a Russian website. "This is in fact not an error but something done by someone after the coin left the mint. The coin designs are struck all at once - therefore, it is not possible for the Mint to put the center in backwards with a design on it. 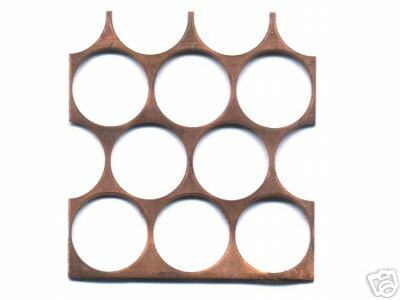 If a design does not match in this manner, it was done after the coin was struck." This other nice image was provided by Thanos S.